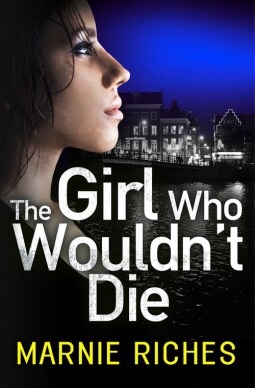 The Girl Who Wouldn’t Die was one of the many books that I’ve had on my kindle for a while and when I noticed that the second had been released I settled down to read. George is a student at Cambridge University who is on placement in Amsterdam. When a student is murdered she is approached by Inspector van den Bergen to help identify the killer. When more murders are committed she realises how much danger the people she cares about and herself are in. I enjoyed this novel very much. Amsterdam is somewhere I have always wanted to visit so it was interesting to read about the city itself. George is very likeable although she does have her faults. Very independent, a bit touchy and also a touch OCD but when you get to know about her past and her relationship with her mother you can understand why she is that way. I also liked the Inspector, who delighted in frustrating his superior, and Ad although I did find him a bit self indulgent. I totally loathed Vin Fennemans . I won’t say why but it doesn’t take long for him to make a very unfavourable impression. A fairly quick read, gruesome at times but a very good introduction to George and I’m looking forward to getting to know her better. I received my copy from netgalley so thanks to the publisher and the author for the copy received. Since reading I have downloaded the first two and pre ordered the third in the series.